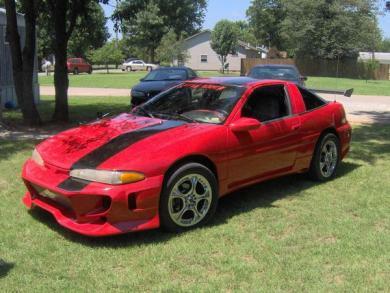 I have a Front bumber for a 1994 mitsubishi eclipse or an eagle talon there the same car. I had my car all fixed up and how I wanted it untill someone backed up into it at work. . I had the money to get the new bumper but not to get it put on and painted. Before I could save the money to get that done I totalled the car so now I have a Bran spankin new bumper and no car to put it on I payed 400 for the bumper. I have pictures of my car that I had the original bumper on. Its the exact same bumper. . Invader is the name of the body kit. Email me if your interested.